Carl Frampton earned the interim WBO Featherweight Title with a clear unanimous decision victory over former four-division world champion Nonito Donaire from SSE Arena in Belfast in a bout that was streamed live to U.S. audiences via SHOWTIME Sports YouTube Channel and SHOWTIME Boxing Facebook Page. All three judges scored the fight 117-111 in favor of Frampton. Frampton (25-1, 14 KOs), of Belfast, was the sharper fighter from the opening bell and imposed his will on the veteran Donaire (38-5, 24 KOs) in front of his hometown fans. Frampton controlled the distance well and was strong on the inside, landing a fierce right hand that caused swelling to Donaire’s left eye in the second round. 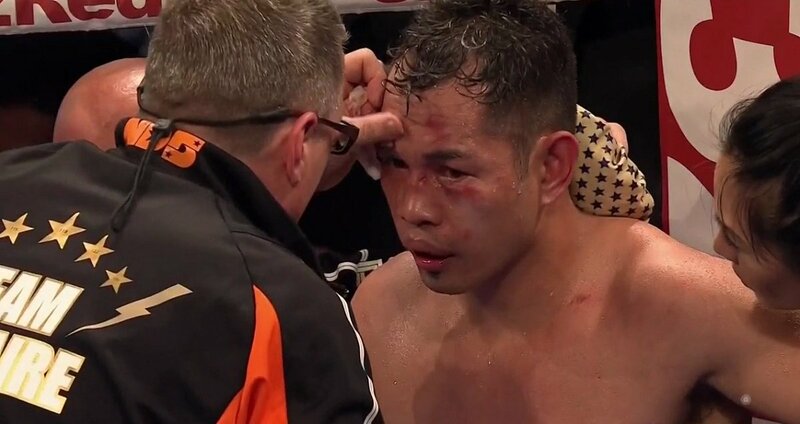 Donaire showed glimpses of why he was named the consensus 2012 Fighter of the Year, landing a vicious uppercut in the seventh and a big left hand in the latter stages of round number 11 that hurt Frampton. However, the hometown favorite was comfortable throughout the majority of the match, using his jab efficiently and implementing the gameplan of trainer Jamie Moore to perfection. The victory puts Frampton in position to challenge WBO Featherweight Champion Oscar Valdez, who is recovering from injury following his fourth title defense, a unanimous decision win over Scott Quigg on March 10. “I think Jamie deserves a lot of credit because the gameplan was perfect,” said Frampton. “As you saw in the 11th round, Nonito Donaire is a dangerous opponent. I survived the round and stuck to the gameplan. At times, my boxing was beautiful. Frampton’s victory over Donaire was the first of four high-stakes featherweights’ fights on SHOWTIME® platforms featuring seven of the consensus top-10 ranked featherweights, including three world champions and four former multi-division champions. On May 19, WBC World Champion Gary Russell Jr. will defend his belt against JoJo Diaz Jr. live on SHOWTIME and IBF World Champion Lee Selby will defend his 126-pound title against undefeated Josh Warrington live in the U.K. on SHOWTIME Sports social platforms. Finally, on June 9, Leo Santa Cruz and Abner Mares will meet live on SHOWTIME in a highly anticipated rematch for the WBA Featherweight World Title.